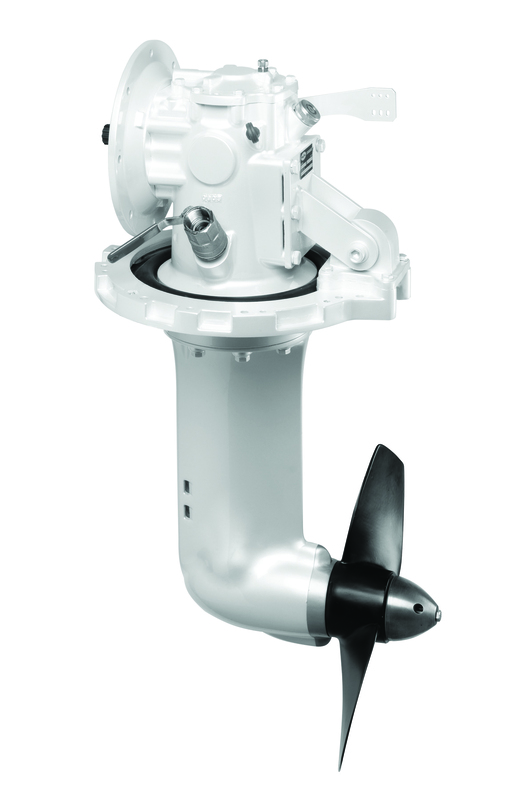 The SeaProp60 propulsion system, for sailboats with engines rated up to 56 kW (75 hp) @ 3600 rpm, benefits sailboat manufacturers and operators. Boat builders can say goodbye to the propeller shaft, its mechanisms and related alignment issues. The SeaProp60’s smaller footprint and mounting flexibility—facing forward or aft, with no shaft angle or aperture constraints—expand engine placement options. Boat operators can say hello to quieter, smoother propulsion. Thrust is parallel to the boat’s waterline, unlike the downward angle of a conventional shaft, increasing propeller efficiency. The SeaProp60 can be matched with fixed or folding propellers.